In 1961, the late, great Thomas Szasz wrote a book called The Myth of Mental Illness. He followed this classic with several more, notably The Manufacture of Madness and The Therapeutic State. He was a brave man, viciously attacked by his psychiatric colleagues in the 1960s and 1970s, but he persisted with his exploration of truth and liberty. 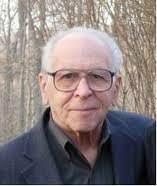 Szasz was born to Jewish parents in Budapest in 1920 and moved to the US in 1938. He studied medicine and psychiatry, and served two years in the US Navy in the 1950s. He averred that psychiatry was unique among all professions in its capacity to commit people who have done no wrong to insane asylums by way of involuntary commitment (imprisonment). As such, it should more properly be labelled a branch of law than medicine. He was not against psychiatry per se, only what he called coercive psychiatry. Szasz punctured the bloated pomposity of modern psychiatry by exposing its lack of scientific rigour. He coined the term “therapeutic state” to describe the control the state has assumed over one’s body, including the prohibition on self-murder. Suicide, he declared, is the most basic human right, as is the right to ingest psychotropic drugs or battery acid. Not that he advocated these positions – he was all about personal responsibility for one’s own decisions, good, bad or dangerous. Szasz did a wonderful job of documenting the absurd history of this pseudo-science. Benjamin Rush, the founding father of American psychiatry, declared negritude (having a black skin) a disease, a form of leprosy. Fast forward 200 years and homosexuality became the disease du jour of the psychiatric movement. Fast forward a couple of decades, and kids fidgeting in class were labelled ADHD, drugged and zombified. “Psychiatry…attached medical-sounding labels (“diagnoses”) to certain unwanted behaviours, exemplified by masturbation and homosexuality. Then, conflating diagnoses with diseases, they claimed to have discovered new brain diseases (Szasz 1991). In fact, they did no such thing. Instead, they medicalised human problems traditionally perceived in religious terms, transforming sins and crimes—such as self-murder, self-abuse, and self-medication—into sicknesses,” wrote Szasz. This is where his forensic approach to language was brought to bear with such powerful effect. Like Voltaire, he demanded that the terms being used be properly defined. There is no such thing as mental illness, declared Szasz, since it fails the standard scientific test for disease, as established by the German physician, Rudolf Virchow (1821-1902), the originator of cell theory: a disease is a bodily lesion, objectively identifiable by anatomical, physiological, or other physicochemical observation or measurement. In other words, for an illness or disease to be present, it must be observable at an anatomical level, such as under a microscope. Cancer, pneumonia and tuberculosis all meet this test. Schizophrenia, bipolar disorder and Attention Deficit Disorders do not. These are simply forms of “misbehaviour” that psychiatrists have labelled and medicalised. In fact, no mental “illness” satisfies the standard definition of disease. As pointed out by psychiatrist Peter Breggin, author of Toxic Psychiatry, there is no such thing as a chemical imbalance in the brain unless one starts taking anti-depressants or anti-psychotic medication. None of the hundreds of other disorders from the Diagnostic and Statistical Manual (DSM), which is the psychiatrists’ billing bible, meet the standard definition of illness. Psychiatry hated Szasz for pointing this out. In the space of a few hundred years the world has moved from theocracy to democracy to pharmacracy, he wrote. In times past, when people felt depressed, they talked to a friend, priest or doctor. Now they get prescribed anti-depressants. As Breggin points out, the most dangerous time is when you are first put on these medications, and then when you try to get off them. The withdrawal symptoms are horrendous. In Toxic Psychiatry, Breggin explains what happens: “Combining antidepressants [e.g., Prozac, Luvox] and psychostimulants [e.g., Ritalin] increases the risk of cardiovascular catastrophe, seizures, sedation, euphoria, and psychosis. Withdrawal from the combination can cause a severe reaction that includes confusion, emotional instability, agitation, and aggression.” Add to that suicidal thoughts and potentially violent behaviour. All this is relevant in light of the recent mass shootings in the US. Virtually all shooters of the last decade have been on “therapeutic” levels of psychiatric drugs, something the mainstream press has belatedly recognised. Tragic though these killings are, Szasz would at least be satisfied that psychiatry is at last getting the kind of spotlight it deserves. Jon Rappoport over at lewrockwell.com spells this out brilliantly.